Happy Friday bibliophiles! Kibby started this tag at Something of the Book. It’s a fun way to celebrate the books you love on one of the best days of the week! Couples you say? Well I can’t say I’m big on romance in books, but tis the season, so I will dig deep and come up with a few of my favorite fictional pairings! Unfortunately one of my top couples is the main F/F couple in The Priory of the Orange Tree by Samantha Shannon. Jeepers I talk about this book a lot on Fridays! I won’t say anymore since it isn’t out till the end of the month, but seriously if you love books with ladies loving ladies, don’t skip this one! Romance probably isn’t what first comes to mind when thinking of this 1K+ word tome. One of the things I love about Sanderson romance is that he tends to focus on well-established relationships a lot. Married couples, or parent/sibling relationships take center stage over newfound love. His work was what made me realize how much I enjoyed reading about spousal relationships. There are a number of really compelling marriages in The Stormlight Archives. These books certainly aren’t for everyone, but if you’re looking for real depth of character, I highly recommend these books. 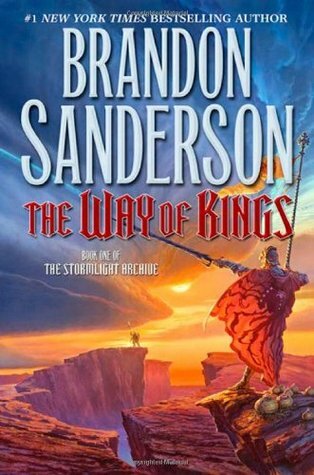 I’m really excited to find out about the couple in the way of kings! I’m definitely planning on reading it this year! Also can’t wait for the priory of the orange tree!